In 2018, The Center for Black Cultural and Student Affairs at USC launched F.R.O. Fest as a part of its 40th anniversary celebration. 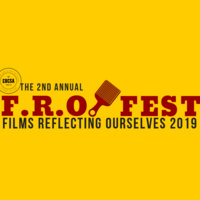 Recognizing Black writers, producers, directors and actors at USC, the festival provides a platform for Us to tell Our Stories and celebrate Our Stories. The Theme for F.R.O. Fest 2019 is "Defining Blackness". Blackness comes in many shapes, sizes, colors, thoughts and intersections. The selected films challenge the audience's definitions of Blackness and/or reflect the struggle to define ourselves through the characters depicted on screen.